Jack Shore says he wont be taking Vaughn Lee lightly heading into their 'Super Saturday' showdown. One of the UK’s hottest prospects Jack Shore takes on UFC veteran Vaughn Lee at Cage Warriors 92 on March 24 and he’s promising that he’s going to be making the most of his big opportunity. The Cage Warriors 92 fight card is being billed as ‘Super Saturday’ and with no fewer than three title fights on the line, the stage is set for some new champions to be crowned and some new names to come to the fore of the European MMA scene. 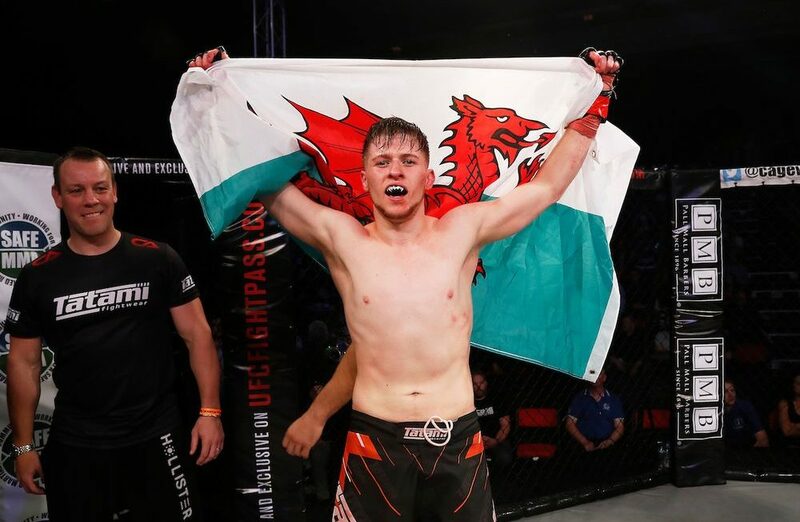 Shore, unbeaten both in his amateur and professional MMA career, will get the opportunity to make a big statement when he faces Lee and speaking to MMANytt.com earlier this week, the Welshman explained that the size of the occasion hadn’t been lost on him. “I didn’t actually ask for the fight, they came to me and asked if it was one I wanted for my first fight at bantamweight,” Shore said. “Why wouldn’t I want to fight Vaughn Lee? He’s got more fights in the UFC than I’ve had professional fights. Whilst Lee has the experience advantage over Shore, the Welshman sees clear paths to victory. Wearing Lee down and making him feel the pace of the fight is something Shore says is going to pay dividends and he sees himself getting the job done in the latter stages. “Vaughn has a very awkward style on the feet,” Shore said. “He’s really fast in transitions and on the feet, he’s got that awkward sort of kicking, in and out style. I see myself as a good boxer though and I’m good at judging the right range. Having fought at featherweight so far in his career, the move down to bantamweight opens up plenty of opportunities and new matchups. Shore went on to explain that the 135-pounds Cage Warriors title is the one he wants for the minute and that a win on March 24 will put him within touching distance of the belt. “I want the bantamweight title, definitely,” Shore said. “If I win this fight Cage Warriors have said that it will likely put me next in line to fight for the title later this year. The current Cage Warriors champion, Nathaniel Wood, also fights on March 24 and is no stranger to Shore having seen him fight his teammate Josh Reed last year. “I got nothing personal against Nathaniel, he’s obviously a very good fighter and I respect him for fighting the top guys at the UK and European level. He deserves to be the champion and he had a crazy fight against Josh in a crazy fight that could’ve gone either way. He’s obviously very skilful and I think it would be a great test for me at the end of the year if he doesn’t move on.